Martyrdom is an alien concept to the Western thought and practice. At worst, it is seen to be a futile deed that does not accomplish any purpose. At best, it is thought to be an act that is intended to capture the headline for a cause that obsesses an individual. This misconception is further confounded by the fact that martyrdom is dismissed as a misguided attempt by the faithful to buy a place in the heaven. 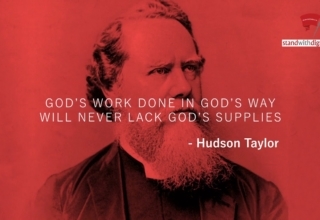 The ultimate reward is thus imputed to motivate the true purpose of the sacrifice. On the other hand, Islam teaches that there is a time and place for martyrdom. This lesson was best demonstrated by Imam Hussain b. Ali (a), the grandson of Prophet Muhammad (s), who is famously known as Sayyid ash-Shuhada or the Master of the Martyrs. When Yazid b. Muawiya was appointed by his father to succeed him as the ruler of the Muslim Empire in 680 C.E., he badly needed to legitimize his position as his appointment was contrary to the procedure that had hitherto been followed. He attempted, therefore, to extract an oath of allegiance from key personalities of Islam, foremost among them being Imam Hussain. Basically, Imam Hussain had two sets of options. The first option involved taking on Yazid, challenging his authority. He could have done this directly by raising an army; indeed, the provinces of Yemen and Persia were known to be sympathetic to the family of the Prophet. Or he could have done this indirectly, by stirring up a popular uprising; indeed, there was a movement in the offing in Kufa, a key administrative town in Iraq in the eastern part of the Muslim empire. 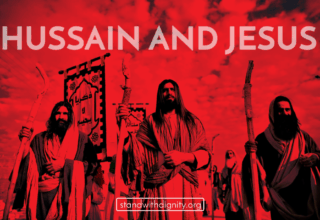 However, there is no historical evidence that Imam Hussain attempted to follow either of these approaches in challenging Yazid. As Imam Hussain saw it, the problem with this first option was that it depended on the use of military means against Yazid’s authority. Even if the Imam were successful in this venture, his success could easily have been misconstrued by the Umayyad dynasty’s propaganda machinery then, and by the Western scholars of Islam since, as simply a political move to gain worldly power. His victory would thus have been temporary, short-lived. 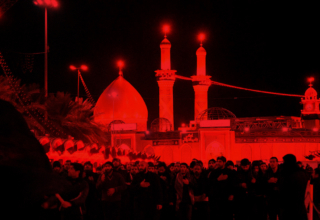 The second option required that Imam Hussain withdraw from the political arena and lead a passive life. Indeed, when he was pressed for an oath of allegiance, he migrated from one Arabian town of Medina to another one of Mecca where he lived quietly for several months. However, when the annual season of pilgrimage was approaching, he learned of Yazid’s scheme to send some of his soldiers disguised as pilgrims to assassinate him. He left Medina for Iraq and, on the way, Trimmah b. Adi at-Tai made an offer to him of a safe haven in the mountains of Aja and Salam in the north-central Arabia. He further promised that if the Imam so wished or if it proved necessary, he would field a force of 20,000 men to protect the Imam. 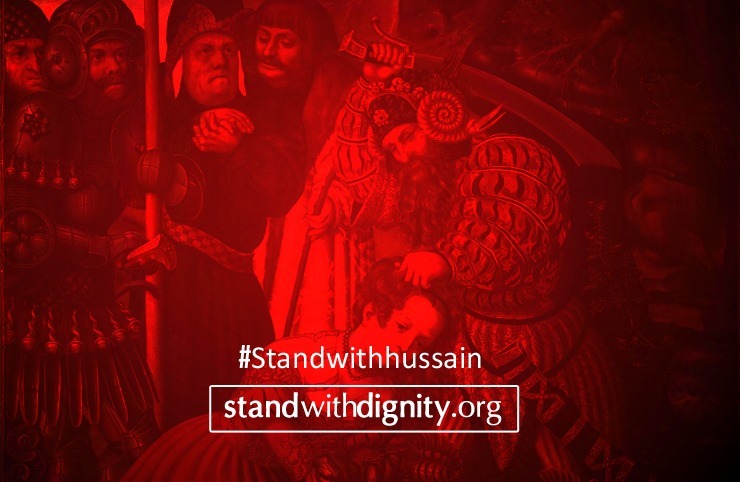 Imam Hussain declined his offer and continued with his journey. He was intercepted on the orders from Yazid’s commander, Hurr b. Yazid al-Riyahi, and was diverted to Karbala, a town on the banks of the River Euphrates in Iraq. The problem with the second option was that Imam Hussain would have shirked from his ultimate responsibility. As the grandson of the Prophet, he deemed it his duty to prevent the complete destruction of Islam which he feared would be the outcome if Yazid were allowed a free hand. He decided that the time had come for him to take a stand. 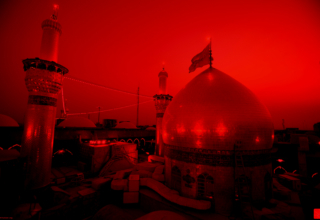 Imam Hussain’s goal was to bring about a complete transformation through arousing the consciousness of Muslims. The goal is eloquently elaborated upon by Allamah Ali Naqi Naqvi (The Martyr for Mankind, trans. by Ali Akhtar, London: Muhammadi Trust, 1986, p. 62) “to revive in the people the capacity to feel, awaken in them the power to think for themselves independently, and restore to them the courage to give free expression to the dictates of their conscience.” The strategy that the Imam adopted to achieve his goal was through suffering and sacrifice. The Imam built these two planks into his strategy because he realized that sacrifice without suffering would be just as ineffective as suffering without sacrifice. He knew that victory attained through this uniquely powerful strategy would leave a permanent imprint on humankind’s consciousness. The Imam thus made it clear that he was not challenging Yazid as a person per se. Rather he was rising against him for what he stood for as the leader of the Muslims. The Imam’s intention was not to punish him. Rather his purpose was to save the religion of Islam. The Imam clearly explains that the onus of changing an unjust situation is upon the people themselves. Verily if a person does not bestir himself in some way, then Allah (swt) will treat that person the same way that he will treat the tyrant himself. 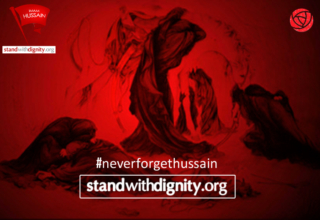 Imam Hussain recognized that he had to change the situation that he faced, not just by his words but also by his action. He made a conscious decision to confront the oppressor and in the process laid down his life. He thus died a martyr. A martyr does not die in vain. His memory is perpetuated in the same way as the memory of other great personalities who have made their contributions to history and civilization. But the mode of perpetuation is quite different in these two cases. A scholar is immortalized through his knowledge, his books. An inventor is immortalized through his invention, his products. An artist is immortalized through his art, his paintings. An architect is immortalized through his creation, his buildings. But a martyr is immortalized in a unique way — through his blood. The Iranian scholar, the late Ayatollah Murtadha Mutahhari (Imam Husayn: The Savior of Islam, comp. by Sayyid Muhammad Rizvi, Toronto: n.p., 1984, p.5), put it beautifully: “Martyrdom injects blood into the veins of society.” So long as the books of a great scholar are readily available in the bookstores/online, or the products of a great inventor can be readily purchased in the retail outlets, or the paintings of a great artist are prominently displayed in art galleries, or the structures of a great architect stand erect on this earth, their memories live on. A martyr needs — nay, counts — on his followers to propagate his cause. Martyrdom does, indeed, arouse sorrow and passion in them. But for a martyr to achieve his goal, martyrdom must do much more. It must create understanding in his followers that, in turn, must generate their commitment to lofty causes.